We are in the era of drop shipping. Ever since mid-2017, dropshipping has become the new shiny object for those looking for ways to make money online. I too jumped on the drop shipping bandwagon around late 2016 and it has been quite a fun and profitable journey. However, every YouTube video and blog post you read about getting traffic to your dropshipping store mentions the importance of Facebook Ads. 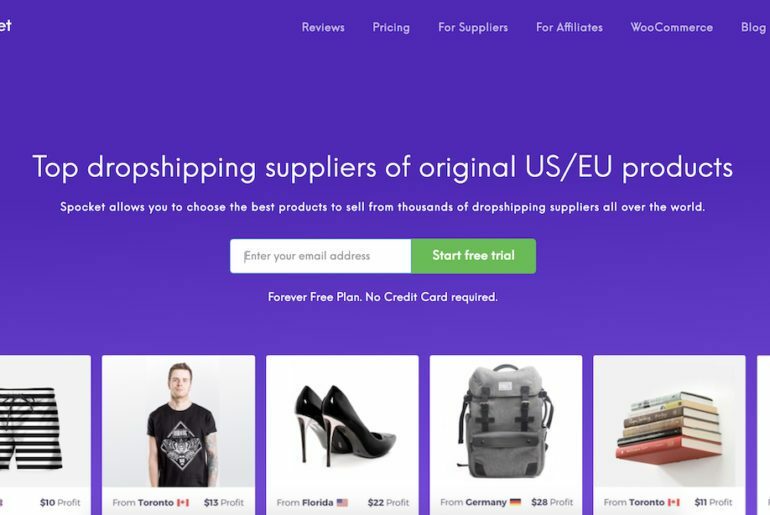 READ: Ultimate Guide To Dropshipping in 2019. While this is true, Facebook Ads work great for drop shipping, many overlook the power of search engines and the free traffic they can generate for your store. Today, I am going to show you how to SEO your drop shipping store. I have been working quietly on the backend of my store trying to get me google search rankings up to hopefully one day fully detach from Facebook Ads and just rely on Google for my main source of “cold traffic”. We rely on Facebook to drive targeted audiences to our store with the hopes of them buying. This is known as “cold traffic” meaning that the person that just clicked through your ad has no idea who you are and what you sell. You’re basically “just another drop shipping store”. Now, my goal with SEO-ing my own dropshipping store is to completely, eliminate the need for Facebook for this cold traffic. I would like to continue with Facebook Ads with remarketing, but only in ave captured a free-flowing traffic from search engines. Because learning how to SEO your dropshipping store can save you hundreds of dollars, dollars you can use on your remarketing campaign to get better ROI from your Facebook Ads. That alone should be enough reason for you to make the effort and properly SEO your store but that’s not the online one. Before I get into the “how”, here is SEO can be much more beneficial to you in the long run. We covered this already, but it’s such a relief to no longer having to continuously fork out money to Mr. Zuckerberg. People who come to your store via a search engine, usually land in your store because they have typed in a keyword that signals they want to buy something. Obviously, learning how to do keyword research with regards to drop shipping is something we’ll also cover down below. Once you start getting traffic, you are going to find that your organic (SEO) traffic will, undoubtedly convert way, WAY better than your Facebook Ads do. Getting started with SEO is the hardest part – once you finally get how search engines work and how people behave differently when they come in through Google rather than Facebook, you will start getting more and more traffic (hopefully) every month. Here’s a screenshot of my own results SEO-ing my drop shipping store since I’ve started applying the SEO methods I will list below. One of the main reasons new drop shippers fail at this is because they fail to build a brand. They think that simply opening up a Shopify Store, throwing in a bunch of random products and blowing their ad budget is enough to make the incredible money drop shipping is known for. While this is true, and it can work (if you are lucky), you also need to build a brand. The way you do this is by being omnipresent across multiple platforms. I myself have 4 social networks feeding my site and obviously, search engines. As I said in my earliest point, SEO brings in quality traffic for free on a daily basis so my branded store really adds to that “trust factor’ when customers see I’m well liked by Google as well. 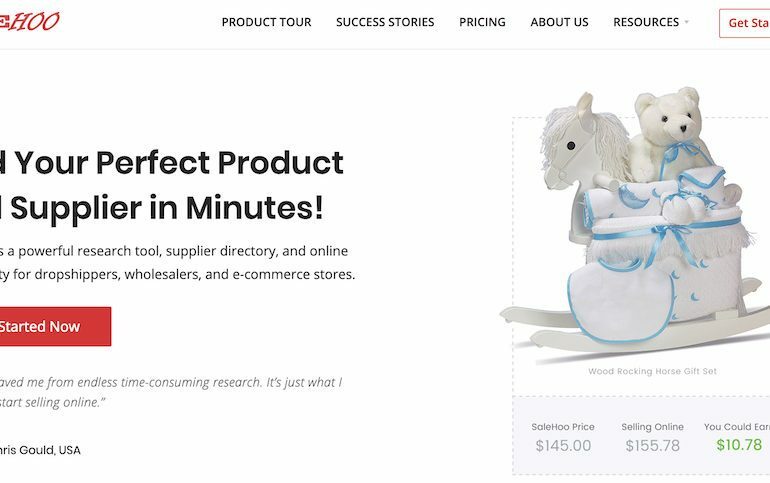 So, are you convinced that you should take the next few minutes to really learn how to SEO your dropshipping store? Here’s how you do that…..
Learning about keyword research will not only help you with drop shipping, but it will also teach you the fundamentals of search engine marketing. Knowing what your audience is typing and making sure your store represents those keywords is the easiest-hardest way you can start optimizing your dropshipping store. Because it will take time to develop a sense of what the people who would be interested in buying from you are searching online. These are the tools I use for my own drop shipping store, chances are it will work for you as well and using the above mentioned 4 tools should give you enough ideas to launch a successful SEO campaign. Once you have found these keywords, it’s best if you incorporate them into your product’s titles. However, do not force it. Always keep your titles short, clean and to the point. I aim for 6 words in the title of a product, only going to 7 if it’s really necessary. Once you do that, here’s what you should do next. Once I started properly doing SEO for my store, I was disgusted by how ugly my URLs where. If you are drop shipping, then you are probably using Oberlo to import products from AliExpress. This means that the product title in AliExpress suddenly becomes your “product title” and worse your URL once the product is in your store. Now I hope we can all agree how awful AliExpress’s product titles are, but what’s even worse is the product descriptions. This is a tip all Shopify / drop shipping gurus agree on. Stop importing AliExpress product descriptions on your store. The only shows how lazy and unmotivated you are and it’s a clear sign to customers that they should not trust you. Learning about keywords, finding the right ones and inserting them into your product description is a great way to start doing SEO for your store. That alone should already help you start seeing an increase in traffic from mighty Google. For a product description, you can get away with simply a few words (50 to 200) but I would also suggest you start learning how to write longer content in the form of blog posts on your store. Most Shopify themes come with the blog functionality so use that to your advantage and start writing content that will further signal Google what your store is all about. If you want to get a bit more advanced with it, you can also use these blog posts in a Facebook Ad campaign to create high-converting LookAlike Audiences from the people who engaged with them. How Long Till You Start Seeing Results? You should start seeing some increase in your traffic from the very next month but as with every SEO strategy, you need to give Google a few months for it to trust your site enough to start giving you those juicy, high-converting ranking positions. Do not be discouraged if you do not see 100s of people a day flying in from day one – it takes time to build and as I said, it will continue building upon itself once you figure out the best strategies for your store. These strategies are not yet needed if you are just starting out doing SEO as these are a bit advanced but it won’t hurt to know about them and start learning how to do it. It’s a great guide and it may also help you avoid mistakes that will come back to hurt your further down the line. I came across drop shipping by stumbling on Oberlo one day (the tool we use to start a drop shipping business) but I properly learned how to make money with a drop shipping store when I bought and went through a course called ‘Ecom Elites”. This course, by drop shipping extraordinaire Franklin Hatchett, will show you all you need to do to build yourself a successful drop shipping business be it via SEO, Facebook Ads and everything in between. if you want to make sure you are doing everything right with your store, then I urge you to check out Ecom Elites. I promise you there are some tidbits in there you do not want to miss out on. I hope this post has shown you how to SEO your drop shipping store and I hope you now start applying these methods to further increase your reach and e-commerce profits. As we all know, SEO-ing an e-commerce store can be tricky but it’s not impossible and the benefits once I start applying the work necessary could both save you a lot of money and also at the same time increase your sales through high-converting traffic. If there is anything I can help you with, be sure to let me know in the comment section below.